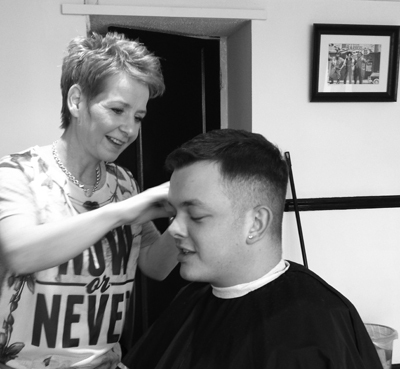 Julie initially trained in hair-dressing, but moved into barbering early in her career. After working for several years in Woods Barbers, she was one of the team who opened the 3 Stooges Barbers in 2004. Julie was a finalist in the category of Best Gents Stylist in the Scottish Hair and Beauty Awards for 2012. 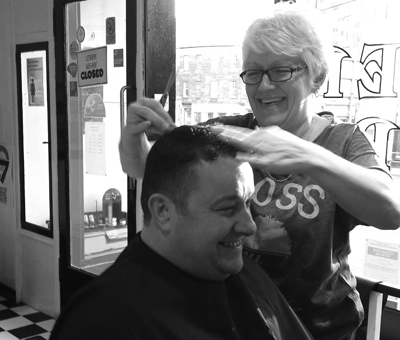 Beth spent many years working in Fife and Edinburgh including several years at Woods Barbers, and was one of the team who opened the 3 Stooges Barbers in 2004. Beth works on a Wednesday, Thursday (9 a.m to 5 p.m), Friday and Saturday.